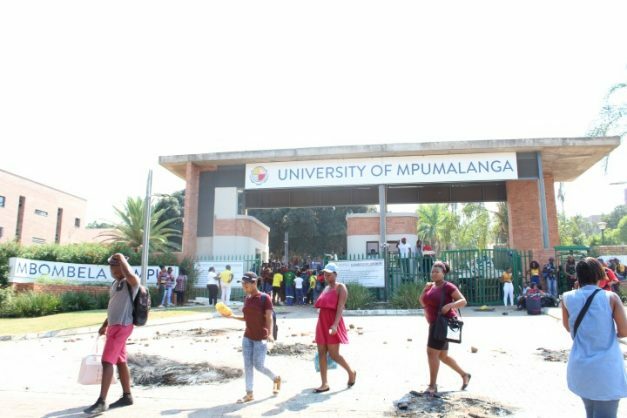 The gates of the University of Mpumalanga were forced open by the police this morning. Students were handed a letter that forced them to leave the premises by 12pm this afternoon, Lowvelder reports. The students, however, have no intention of complying. CRC chairman and SRC treasurer Wandile Shabangu said that they would not leave. “We are not moving. The university is our home. The police can come and drag us out but we will not move,” he said. 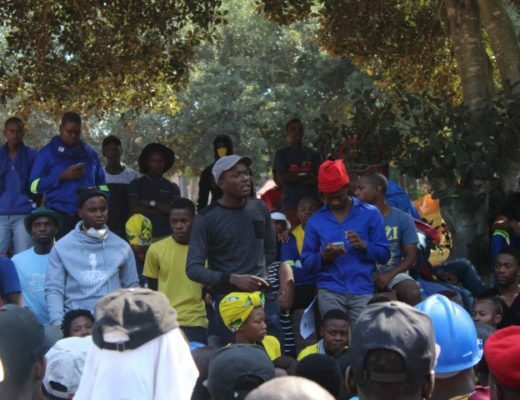 SRC chairman and CRC vice-chairman Mxolisi Ncgamphalala addressed the students at a mass meeting after the gates were busted open. He demanded that vice-chancellor Prof Thoko Mayekiso and the rest of the university management step down. The protests began on Monday when university students demanded that the university pay for the outside service providers and accommodation of the students.